The cab driver accused of shooting Alexandria police officer Peter Laboy pleaded not guilty by reason of insanity to all charges against him. The trial for 29-year-old Kashif Bashir began Monday. He is accused of shooting Laboy in the head during a traffic stop in front of an Old Town Alexandria elementary school -- something Bashir's defense attorney did not dispute in court Monday. "Just as there is no question about what happened... there is no question he was insane when he did it," the defense attorney said. 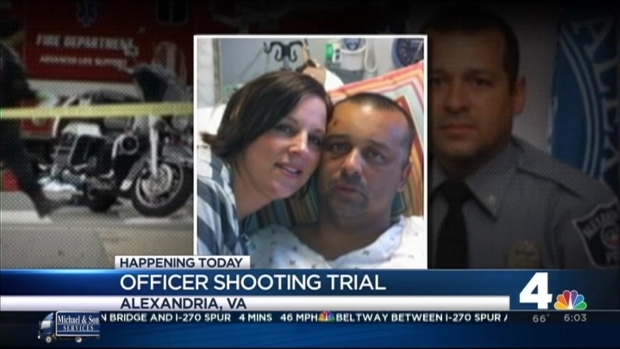 The trial of Kashif Bashir, the cab driver accused of shooting Alexandria police officer Peter Laboy, will begin Monday. Defense on accused police shooter: "just as there is no question about what happened..there is no question he was insane when he did it"
With Laboy and his wife, Szanne, watching from the first row, the prosecution Monday called a series of officers involved in arresting Bashir. They testified finding a gun next to Bashir. Officer Kammy Stern, who read Bashir his rights, testified Bashir was oddly calm and smiling after he crashed the taxi and was arrested. She also smelled alcohol. In opening statements, Bashir's defense attorney said he was increasingly in the grips of mental illness, believing he could communicate telepathically and voices would tell him what to do. "Kashif Bashir was not himself," Stephanie Snyder said. "He was an unmedicated, undiagnosed paranoid schizophrenic who was actively psychotic." In opening statements, the prosecutor said a bullet fragment found near Laboy matches the gun found with Bashir. On Feb. 27, 2013, Laboy was on police motorcycle patrol when he got ready to stop a taxi whose driver had reportedly been behaving strangely. "I don't remember what happened. I remember responding to the call, but after that, I don't remember being on the ICU," Laboy later said. As first responders rushed to the scene, police chased the taxi until it crashed in Fairfax County, and Bashir was arrested. Laboy hadn't been expected to survive, but he defied the odds. However, he is still recovering from a traumatic brain injury and has had to relearn how to speak and walk. "Some days are great and some days are extremely frustrating for both of us," Suzanne Laboy said earlier this year. "Part of it is just the unknown, what's tomorrow going to bring? But I still had it in my heart he was going to be back to this house... and being a father to the children." This spring, Laboy received Alexandria's Gold Award for Valor the highest honor an Alexandria police officer can receive. Several of his colleagues who worked to save him were also honored. 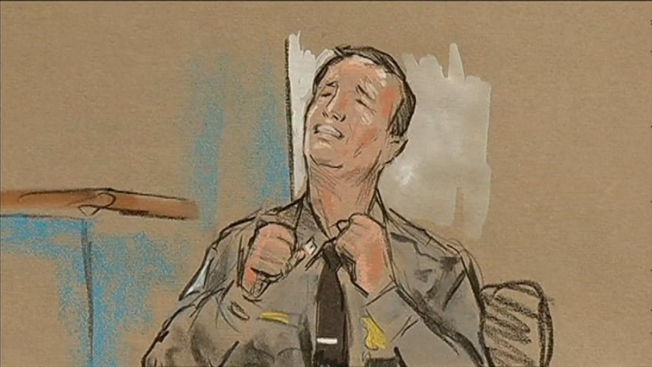 Since the shooting, the competency rulings on Bashir have been reversed several times. Bashir was again ruled competent to stand trial in June after receiving medication and treatment at Virginia's Central State Hospital. Bashir is charged with attempted capital murder and aggravated malicious wounding.